Get your favourite fragrances and save 20% OFF discount too. Relax and calm yourself down with Moroccan Argan Oil, and wrap yourself up in sweet dreams with Soft Blanket after that. Indulge in the sweet and tangy aroma of Red Raspberry, and set off on an adventure to the calming sea notes of Turquoise Sky. 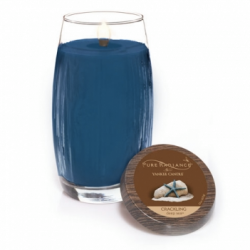 Dive into a tranquil, refreshing world of blue water and musk with their Pure Radiance Deep Sea candle. Their Pure Radiance candles are made with a blend of soy wax and paraffin wax and comes in an elegantly-shaped textured glass vase, which lights up beautifully in the dark. They are all now on 20% from 1 to 31 January 2016! Head down any of their stores to get yourself a pretty candle today! Enjoy Yankee Candle offers Hot towel from our exclusive Barbershop Collection, is a pleasantly soothing combination of sea salt breeze and white woods. Now on 20% off, hurry down to any of our 10 outlets to purchase it and indulge in this lovely scent. 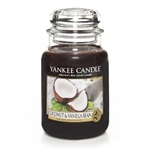 Yankee Candle member’s exclusive event! Free Market is back! 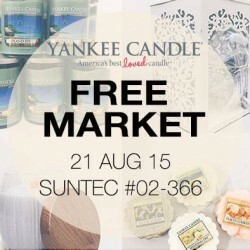 Starts at 10am at Yankee Candle outlet at Suntec City Mall #02-366. While stocks last, or until 9:30pm. Terms and conditions apply. 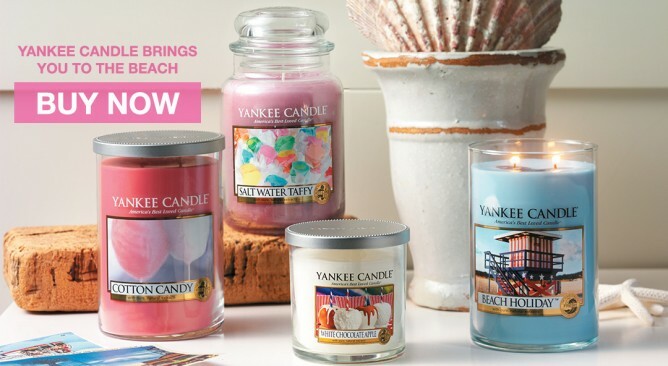 Yankee Candle brings you to the beach this June with our four delightful new fragrances! Experience the clean, fresh scent of ocean air with Beach Holiday, and indulge in some sweet, sticky delight with Cotton Candy, Salt Water Taffy, and White Chocolate Apple! ALL now on 20% off! 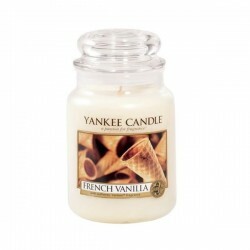 Hurry down to your nearest Yankee Candle store today and grab one now or get one from the comfort of your home! Whilst stocks last. Have a scentabulous June ahead! The fun never ends! It's always happy hour with the casual, playful tang of fresh-squeezed lime in a classic margarita. The traditional design of Yankee Candle signature jar candle reflects a warm, relaxed sense of style that's always at home for 20% off. Convenient and easy to use, their large Housewarmer® Jar Candle provides hours of true fragrance enjoyment. Get Up to 20% off candle warmers @ Yankee Candle. Get yours NOW! See some of the items which are available for grabs at Yankee Candle flea market! Their flea market is happening on 25 Feb'15 at their VivoCity outlet at #02-154! Exclusive for MEMBERS only, you can bring home ONE item for FREE! 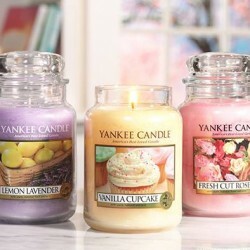 Yankee Candle offers Buy 4 and get 1 free at $159.60; buy 8 and get 3 free at $319.20! Save more when you buy more before February! This is the season to be scentabulous! 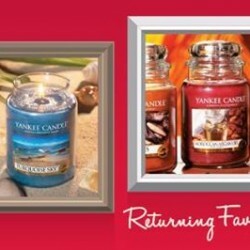 Yankee Candle offers an EXCLUSIVE deal just for their Facebook fans! 10 limited edition Silver Reindeer Jar Holders (featured in the picture) worth S$39.90, are up for reservation! Happy November! 1 more month to Christmas, and Yankee Candle are celebrating it by having 20% OFF ALL our Reed Diffusers! Yay! Head down to any of the seven stores and get yours today! Have a scentabulous week ahead dear friends! 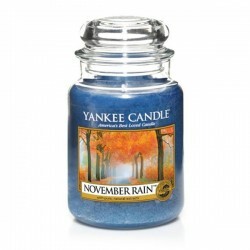 Here's one of Yankee Candle's popular fragrances, November Rain, for you to cozy up and discover the quiet interlude of the autumn season reflected in an airy, refreshing mix of watery leaf notes, and crisp, brisk air. 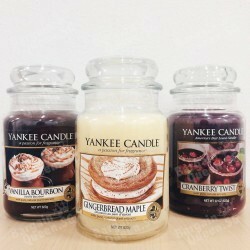 Celebrate Autumn with Yankee Candle! Buy any candles and get our accessories at 20% off! Hurry and make your way down to The Living Store at Isetan Orchard, Level 4 now! Feel the comfort at your home after working the entire day, just light up a French Vanilla candle today and indulge yourself in its sweet and relaxing fragrance. Now you can save 20% off for the whole month of October, you have one more reason to be happy. Go get your French Vanilla at any of our six stores now. Have a scentabulous day ahead! 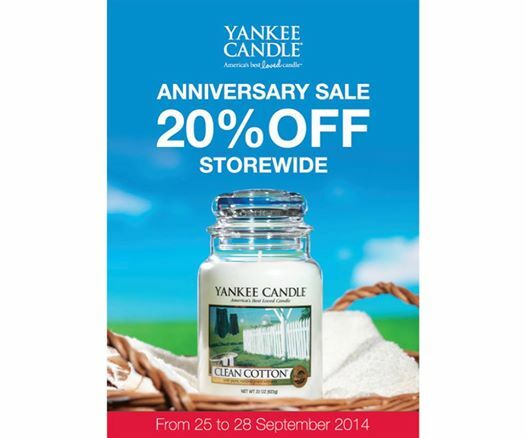 Yankee Candle Singapore will be having a 20% store-wide discount from 25 to 28 Sept to celebrate their anniversary. Discover a world of elegant candle accessories this GSS season as they bring sophistication and style to your home. Perfect for impressing your guests during housewarmings, or simply to make your nest real homey. 50% off! 10 days left. Whilst stocks last. Offer ends on the 31 July.